40 Watt UV water sterilizing light that has a strong UVC output of 30mJ/sqcm and a 9,000 hour life, or 365 days, at flow rates of up to 50 ltrs/min. Spare part for Filtermate Farmmate Residential System. 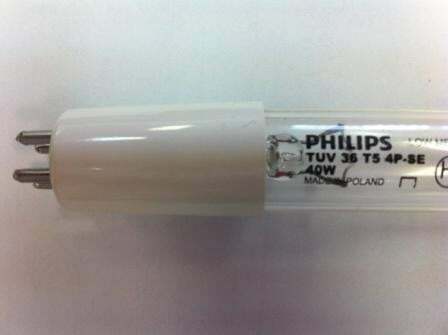 These are Original Philips Lamps.